Mukherjee’s address came amid bitter criticism from the Congress over his decision to accept the RSS invite. NAGPUR: Former President Pranab Mukherjee on Thursday warned that any attempt to define India through “religion, hatred, dogmas and intolerance” will dilute our existence, as he addressed the Rashtriya Swayamsevak Sangh (RSS) cadre at the valedictory function of the Third Year Sangh Shiksha Varg here. The soul of India resides in pluralism and tolerance, he emphasised. 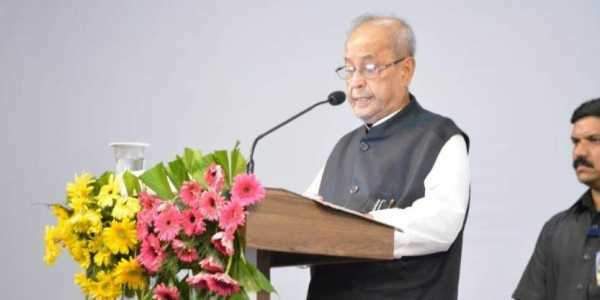 Mukherjee’s address came amid bitter criticism from the Congress over his decision to accept the RSS invite. The party later changed tack, describing his speech as ‘showing the mirror to the RSS at their HQ’. “Divergent strands in the public discourse have to be recognised. We can’t deny essential prevalence of multiplicity of opinion. Only through a dialogue can we develop the understanding to solve complex problems without an unhealthy strife within our polity,” he said. Starting with the dictionary meanings of nation, nationality and patriotism, Mukherjee took an overview of over 2,500 years of Indian history to explain how these terms evolved in the Indian context. “Secularism and inclusion are a matter of faith for us. It is our composite culture that makes us one nation,” Mukherjee emphasised. Speaking before Mukherjee, RSS chief Mohan Bhagwat said India’s hoary culture is a great uniting force that has given it a unique identity. “Even India’s celebrated diversity has arisen out of the common ethos of this land,” Bhagwat said. “In Sangh’s view, we are all one. Our DNA is the same and hence we should rise above petty differences. A united society alone can bring in change. The RSS is trying to unite the society,” he added. Bhagwat hit out at those who want to isolate the RSS by shunning any contact with it. “Honest people are open to dialogue as honesty and acceptance leads to finding common ground,” he said. Notably, Bhagwat also cautioned how power without humility can be destructive. He said power should be used it to help, and not harass.